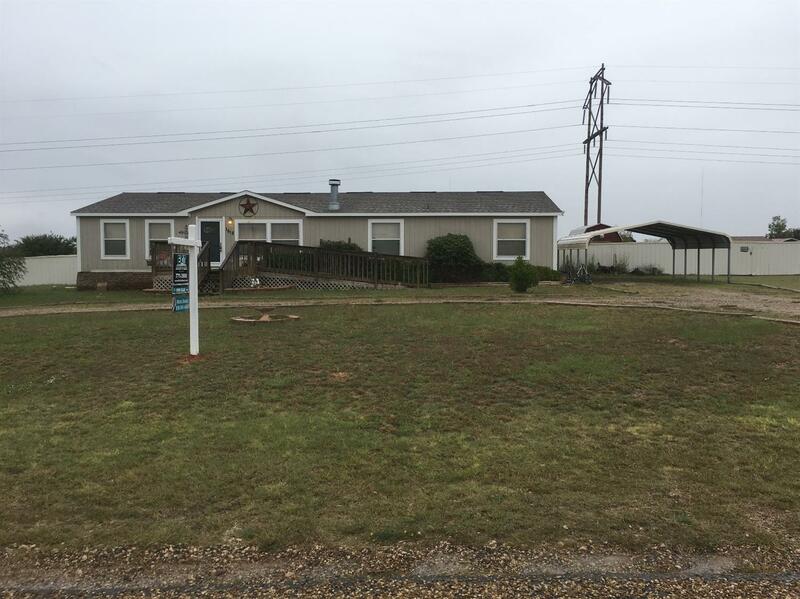 Lots of room in this 4 bedroom, 3 full bath home. Kitchen has an island/bar and is open to living area. Home is equipped with a fireplace, privacy fence, storage sheds, brick skirting, metal fencing, well and septic tank. South Plains electric and Cooper school district. Home sits on 1 acre lot.